You will wonder how these mountains came to be. There's not too many places that you can see similar occurrences of mountains all located at a particular area. For Bohol, the count was 1, 776 but if you'll consider the others located at different parts of the provinces, the figures will reach up to more than 4,000. That was according to our tour guide Josue who knows exactly how these mounds came to be. He was telling us all about the Chocolate Hills of Bohol as we were nearing the viewing deck area which is actually located at one of the Chocolate Hills too. Just like life, the hills have a cycle when it is green and when its brown like the color of chocolate. Just like life having its ups and downs, the Chocolate Hills of Bohol has its fair share of being so greenish during the rainy season, and brownish during summer. The story of Josue was too technical for me and quite hard to remember so I asked him to share the story on video. He tells it better and a lot more interesting since he's been doing it for several years already as a professional tour guide for Travel Village. 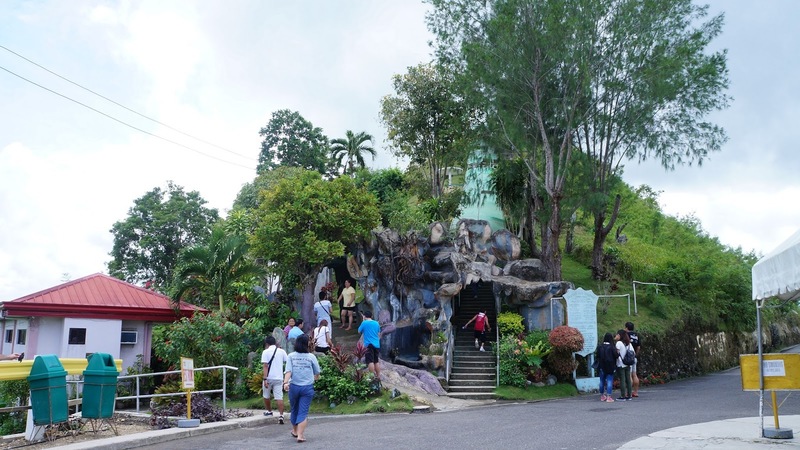 He also tells us how the viewing deck was damaged during the earthquake in 2013 which also damaged all but two of Bohol's churches. 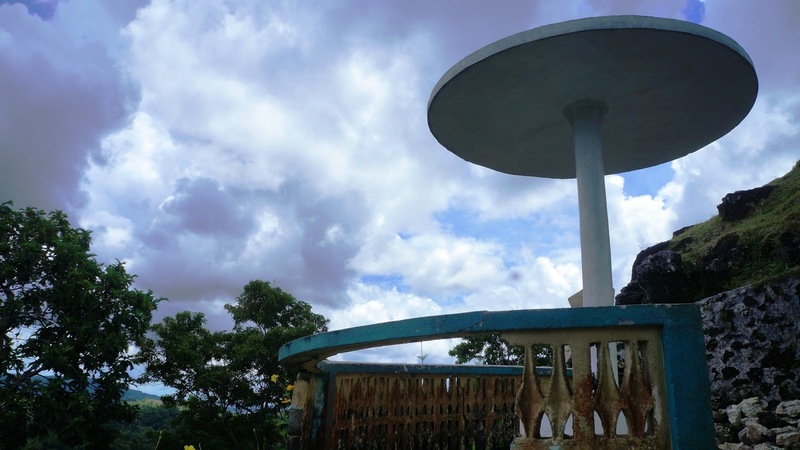 The province has been rebuilding both the viewing deck and the churches as we speak. But it will take time, effort and financing before all of these damages are repaired. 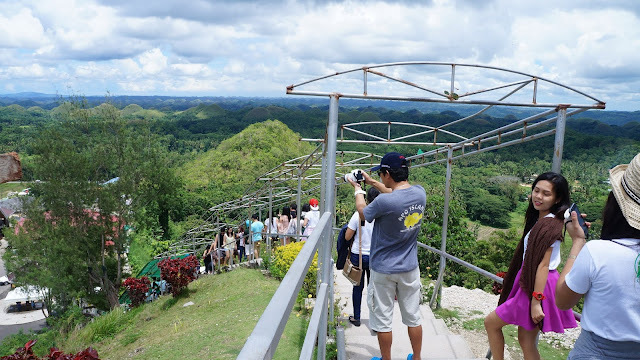 The view from the Chocolate Hills viewing deck. Imagine what it would look like during the summer when the hills are brown in color just like chocolates. 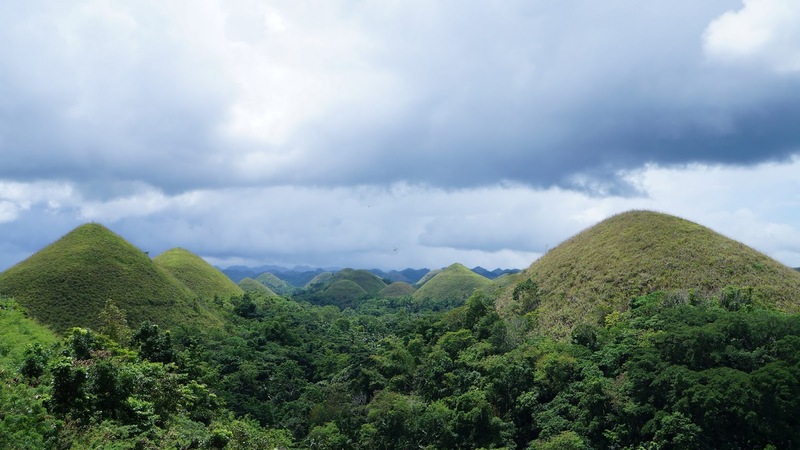 Our professional tour guide, Josue, talks about the Chocolate Hills of Bohol. Thank you for a very informative countryside tour, and for sharing other stories during our different trips to otehr locations. Still, the Chocolate Hills viewing area is still a crowd favorite. You'll see lots of people even during September when we came to visit. We were there as part of our countryside tour during the last day of our 5-day post-event familiarization tour for the Diving Resort Travel show held at the Megatrade Halls of SM Megamall on September 11 to 13. We had several foreign delegates that were mostly photographers, diving professionals, and journalists from different countries. There were actually six locations all over the Philippines to visit that were all happening at the same time but I chose Bohol because I've never been to it yet. Our fam tour began on September 14 until the 18th where we mostly went to the different diving sites of Bohol. 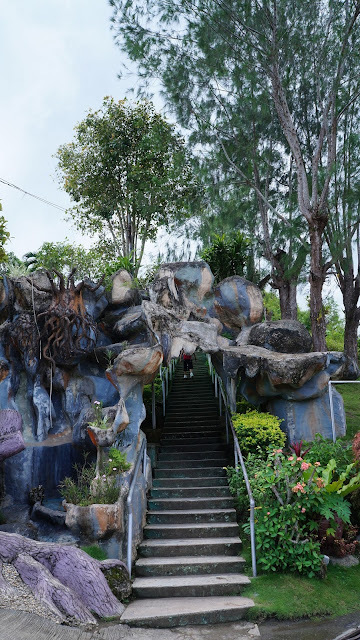 We stayed at the Amorita Resort located in Panglao and also visited some nearby resorts during the night. Thank you to the Department of Tourism for making me a part of this very memorable fam tour. 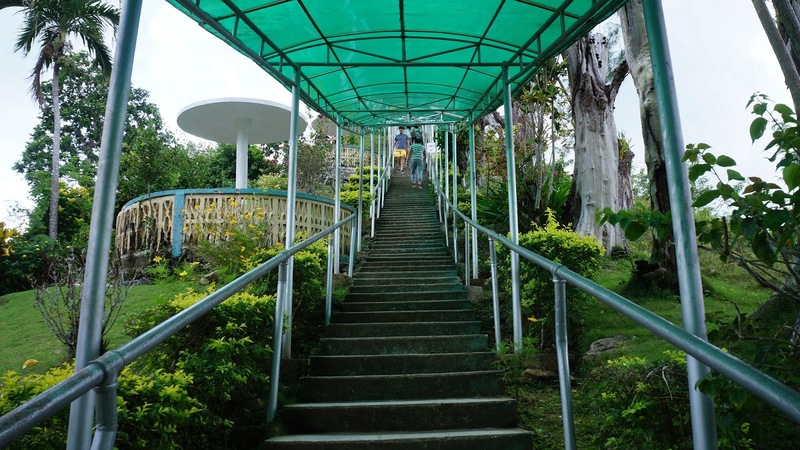 You'll be climbing several steps of stairs on your way to the viewing deck. They cordoned off a portion of the viewing deck while its being repaired but some people still ignored it and went over the fenced area, and even all the way to the farther end. I decided not to follow their example so others would not be enticed to do the same. It was enough for me to see what my eyes can reach and what the lenses of my camera can capture. It may look difficult but you will be surprised that you'll get there easier than you think. 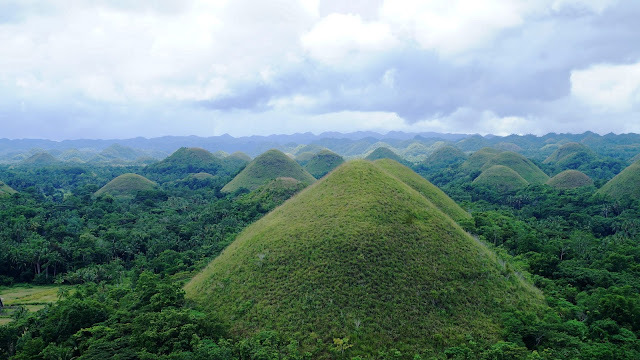 You'll get there faster if it's your first time to be in the Chocolate Hills of Bohol. The excitement of seeing the hills for the first time is incomparable. They have a few stop-overs on the way to the top in case you can't climb straight away. However, you can see the damage portion of the structure. It was still good enough to protect you from the heat of the sun. 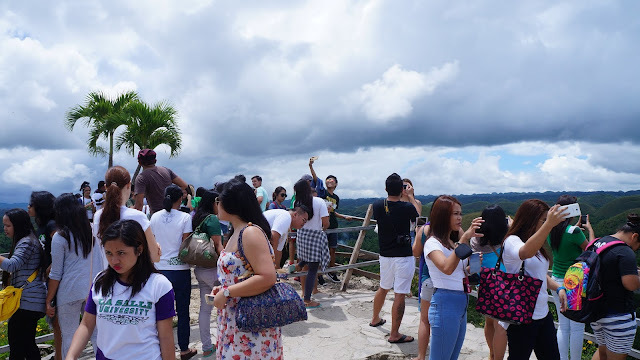 Several people were still having selfies and photo ops at the Chocolate Hills viewing deck. As you can see here, the people have gone over the fenced area. A photographer even used it to climb up to take a better shot of the view as he took photos of a foreign couple in what seems to be a prenup photo shoot. The young people were all shouting "May Forever!" translated as "There's Forever!" referring to the couple who were posing as if they were happily in love. Filipinos would relate when hearing these words because of the popular saying involving these lines. But the other foreigners may be quite baffled. The way back below is easier since you don't need to exert too much energy. Still people take time to stop and take photos. 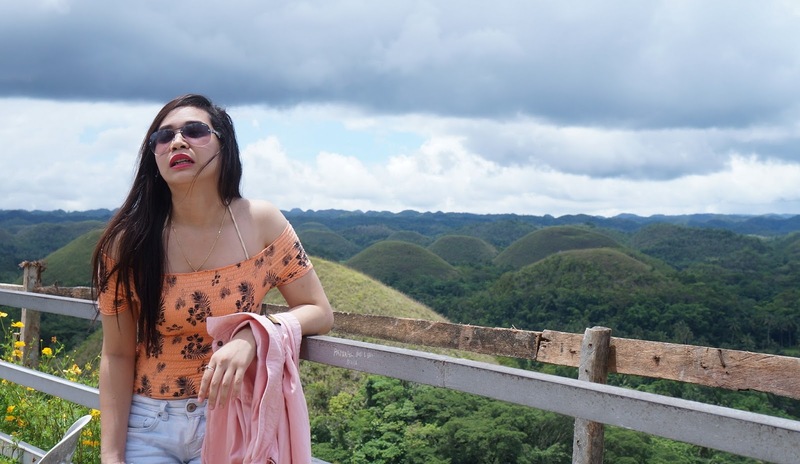 Why not, it's not everyay you get to have a great background of the Chocolate Hills. I could imagine what these hills would look like during the summertime when they are all brown in color. People still continue to pose in whatever way they desire. Smiling , all thumbs up or "pabebe" poses are allowed. Lol! 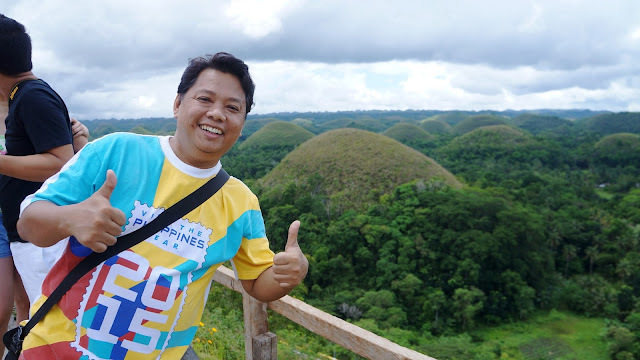 Your Pambansang Blogger ng Pilipinas gives the iconic two thumbs up for the Chocolate Hills of Bohol.